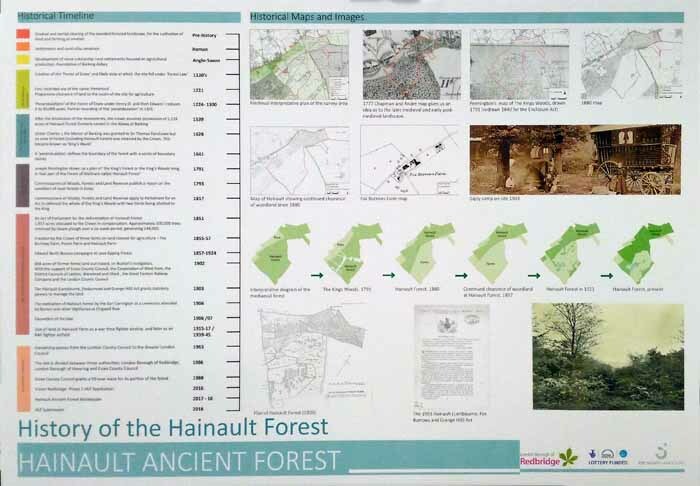 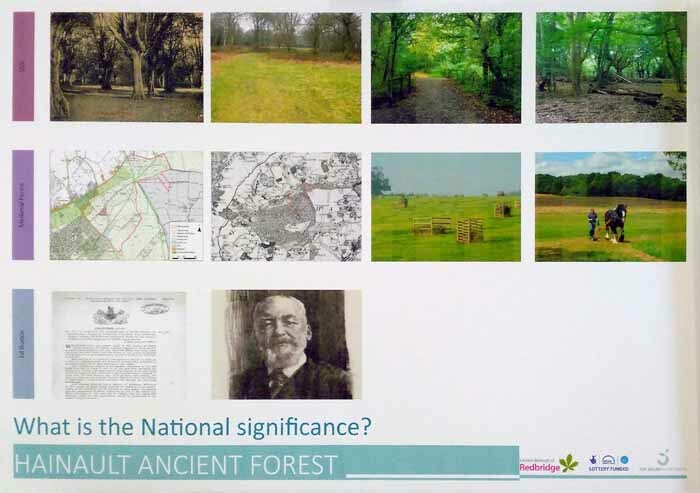 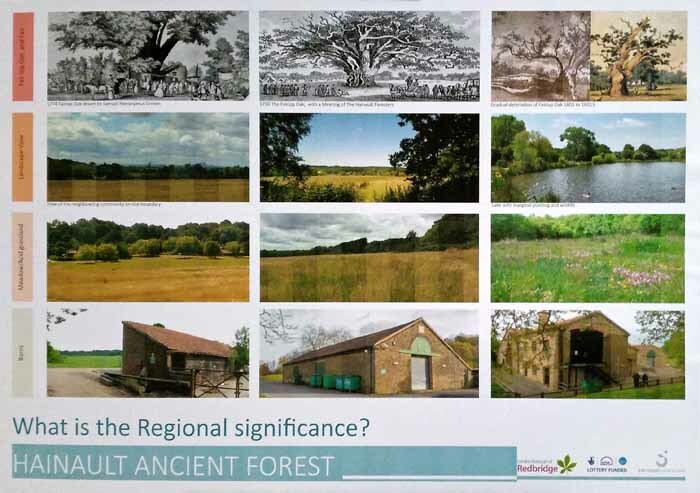 Over the past few years the Friends of Wanstead Parklands have watched with interest - not to mention a degree of envy - as the London Borough of Redbridge develops plans for another major local open space, Hainault Forest. 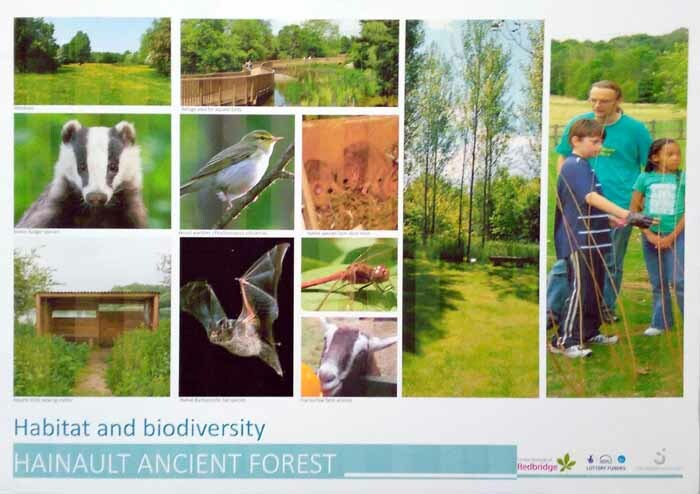 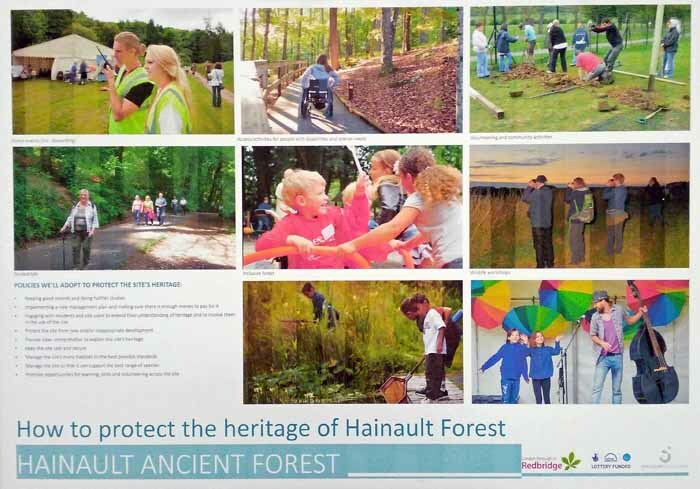 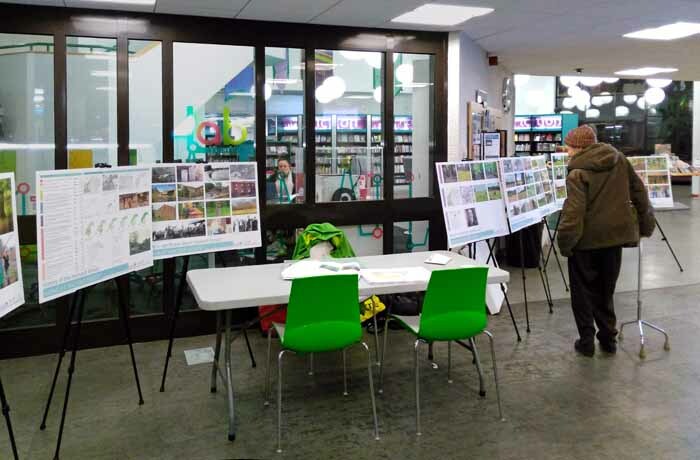 Yesterday (20 November 2018) Vision, the trust which provides leisure services for Redbridge, held a drop-in session for interested individuals and groups to view and discuss the content of the new Hainault Forest Conservation Plan. 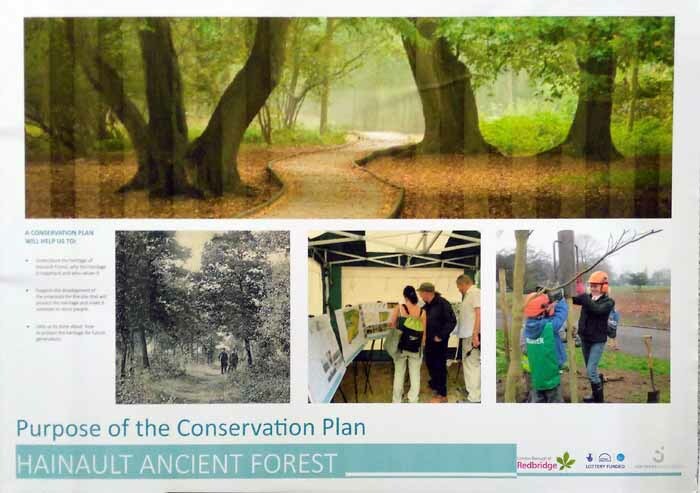 The plan looks in detail at the significance of both natural and built heritage on the site, detailing the policies that will guide management on site for the future. 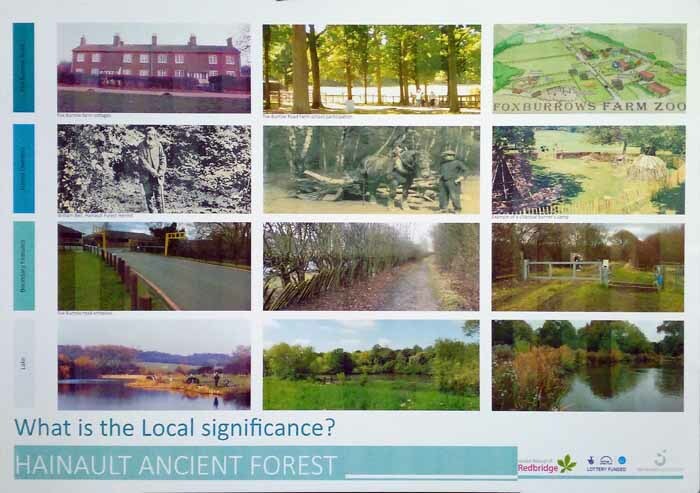 There were a range of display boards to showcase the main points of the plan. 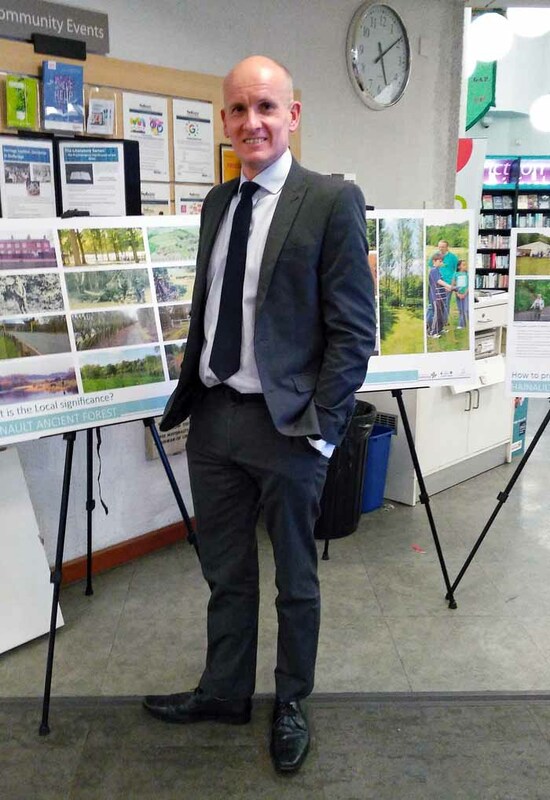 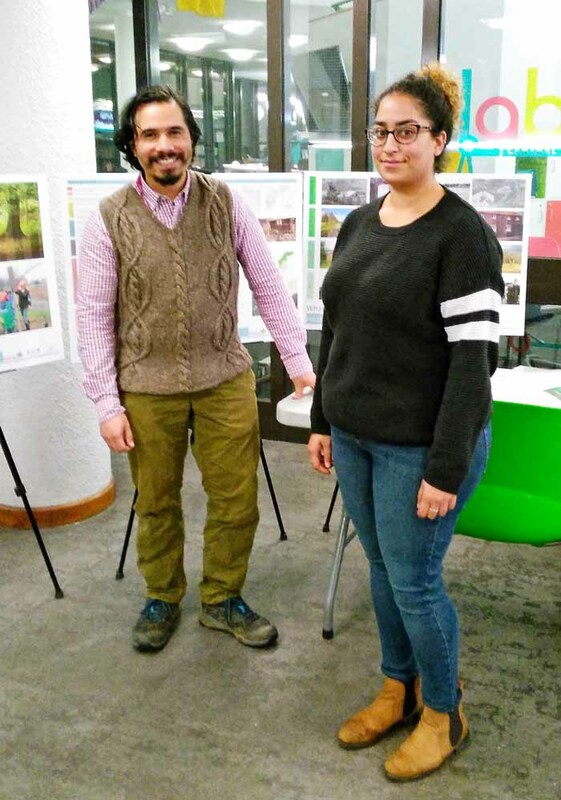 Available to discuss it were Project Manager and Senior Ranger Francis Castro, with Visakha Sroy of landscape architects Jon Shaeff and Associates, as well as Redbridge's Head of Parks and Open Spaces Kevin Wackett. 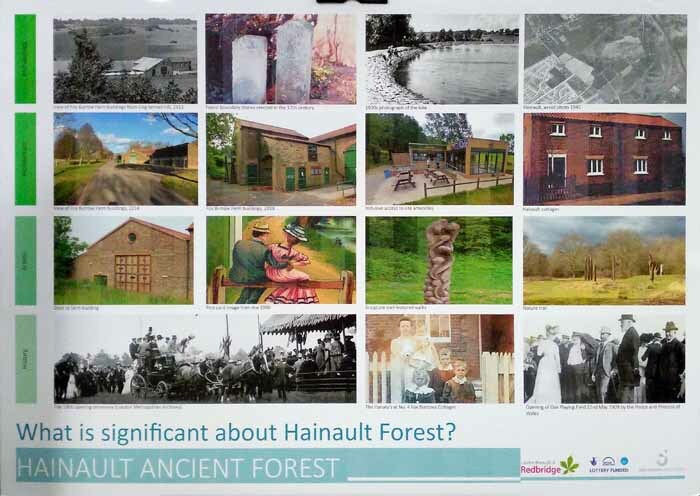 The majority of the £6 million cost of the restoration project will be covered by a Heritage Lottery Fund grant.